The designer contemporary style Summit high rise mono basin mixer, create a sleek, modern look to your bathroom or cloakroom suite with the sloping curves of the Summit high rise mono basin tap. 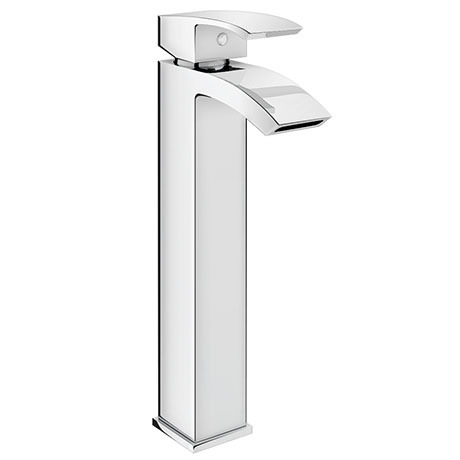 The curved lever handle ensures ease of use, while the high quality chrome finish will stand the test of time. Designed to be mounted on a counter top. The sleek and stylish Summit high rise mono basin mixer is perfect for creating a cool and contemporary look in your bathroom. Its minimalist design and easy to use functions make it ideal for any modern bathroom and offer a simplistic solution to easily controlling temperature as it mixes both hot and cold lines together.